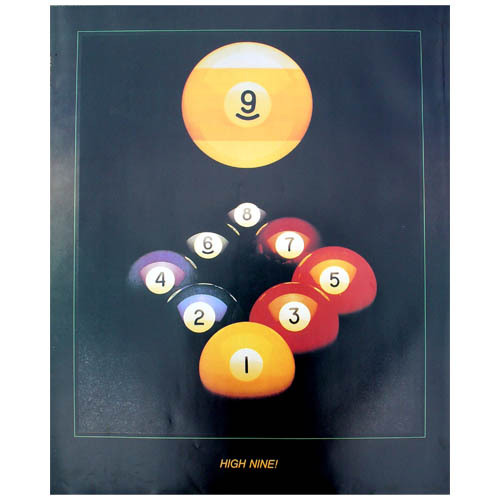 This nice billiards print can really help decorate your billiard room. 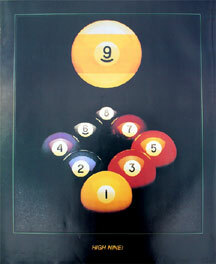 Displayed on the poster is a rack of nine balls, with the nine itself floating above the rest. It measures 29-1/2" x 23-1/2".